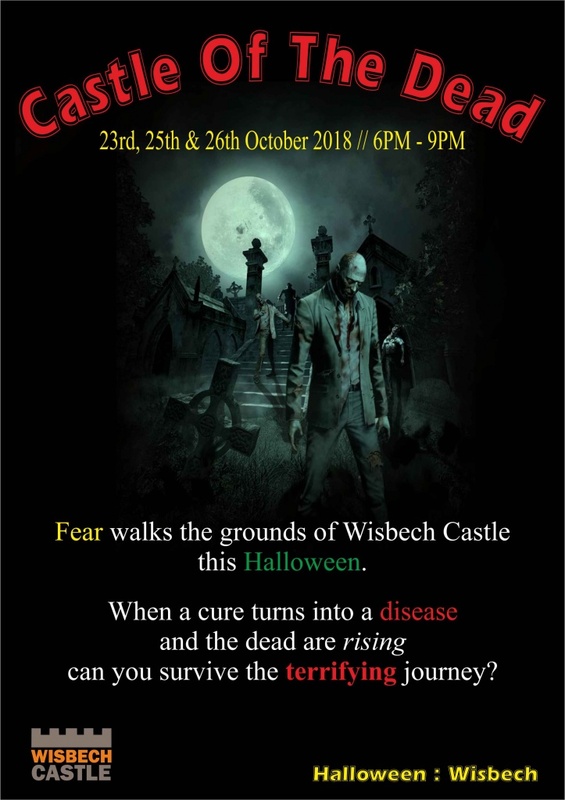 Castle of the Dead is an interactive scare attraction which is being run to raise funds for the Wisbech Castle Project. The tour will be taken by groups of between 5 and 9 people. Because there will be dark areas, steps and uneven ground due to the nature of the event, it is recommended that guests are physically able to move unaided around the terrain in shadowy conditions. Some of the event will take place outside. Please dress suitably for cold or wet weather. There will be live actors. They will interact with you, but it is just for fun – they will not touch you and you must not touch them. Entry is available by pre-purchased ticket only. When purchasing a ticket you will be asked to choose a day and one of the hourly time slots. You will then be emailed and given a precise time to be at the Castle. Please arrive five minutes or so early, as latecomers cannot be guaranteed access. The Tour will take 15-20 minutes and will be followed by refreshments in the Castle, included in the price. Tickets are £5.00 each, there is a lower age limit of 11 years of age, and all children under 16 must be accompanied by an adult. The event will be quite scary and so people of a nervous disposition are recommended not to attend.